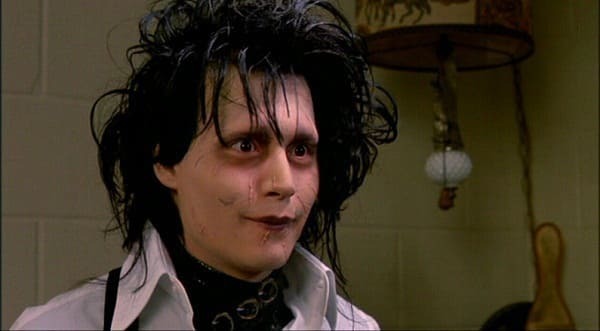 Johnny Depp stars in Edward Scissorhands. The film was the first of Depp and Tim Burton's collaborations. Tim Burton and Johnny Depp: What's Their Best?